Over the last twenty-five years, Apex has built a great reputation for combining excellent audio quality with ease of use in all its designs. APEX professional audio products have always been at the cutting edge of technology: for example, we introduced the first paragraphic equaliser, a combination of graphic and parametric EQ designs. Our SL Series of Sound Levellers are used all over the world and are generally recognised as being the best sounding products in their class. 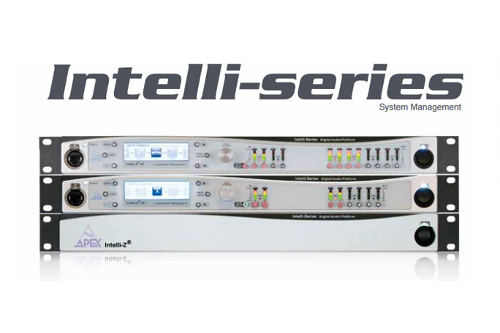 With the introduction of the IX² Intelli-X Series of System Management Processors, again we raised the bar for DSP-based audio technology. IX² units have been used all over the world, at many of the highest profile events. 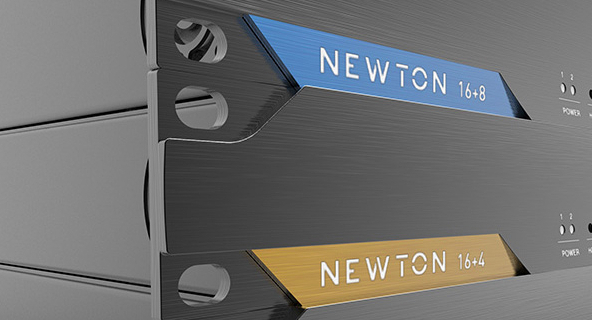 In 2015 APEX entered the AV market with a revolutionary product: the Liviau Series. APEX Liviau offers an entirely new, ultra-simple way of controlling audio, video and lighting for presentations. In Liviau, APEX have managed to integrate all AV functions into a single, elegant unit, without the need for external equipment, thus reducing system complexity and cost dramatically. Apart from Liviau, you only need to add the display of your choice and some loudspeakers. LIVIAU is simple to install, energy-efficient, great to look at and very cost-effective in comparison with other commercial control systems available today. 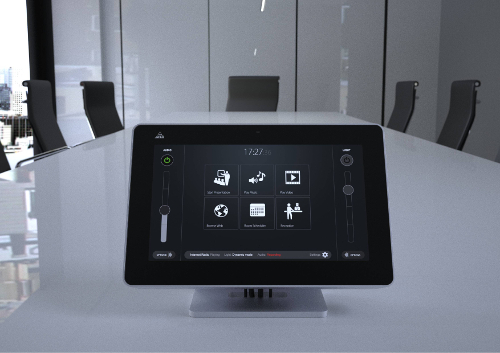 Liviau R - Audio visual control systems for meeting and conference rooms offering completely new approach to AV control and connectivity. 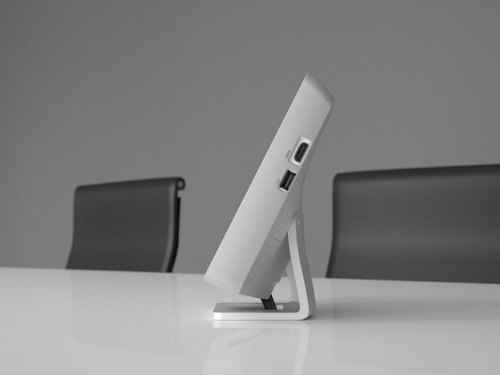 A single, elegant touchscreen-based unit combined with highly intuitive control pages lets you control complex presentations with simplicity and ease. All you need to connect is a display device and speakers. Liviau R is simple to install, versatile in use, great to look at and very cost-effective in comparison with other room control systems available. 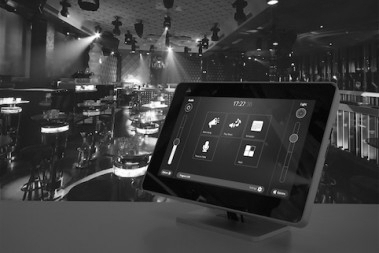 Liviau S - is a new approach to AV control for bars, clubs, retail and corporate applications. 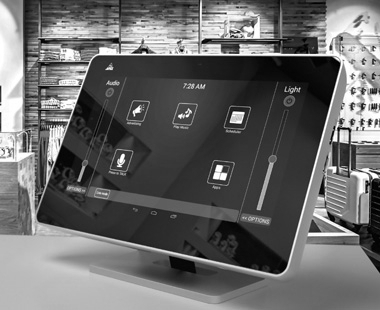 A single, elegant touchscreen-based unit combined with highly intuitive operation provides control over audio and video playback (including comprehensive scheduling), plus a fully integrated DMX controller for powerful and sophisticated lighting control, a fully featured audio DSP, and an integrated 2 x 50W amp to function as either the main system amplifier in small retail spaces, or for powering a small low power zone in larger systems. APEX also designs and manufactures a wide range of professional audio products. SL Series - Noise level control systems provide a range of tools to protect hearing, neighbours, the environment and equipment against excessive sound levels; without altering the sound programme. The concept behind the SL-series is to have two basic units, the Argos and the Hera. These can be used independently or combined to provide a fully featured sound levelling system.